NEW YORK (AP) — The Breitbart News reporter allegedly roughed up last week at a Donald Trump press conference has resigned from the conservative website, saying that she can't work for an organization that doesn't support her. Michelle Fields, who said that she was grabbed by Trump campaign manager Corey Lewandowski as she attempted to question the candidate last Tuesday in Florida, was joined in her resignation by a Breitbart editor, Ben Shapiro. Police in Jupiter, Florida, said Monday their investigation of the incident is ongoing. No charges have been filed. Lewandowski has denied the allegation. Trump told CNN that the incident, also witnessed by a reporter from The Washington Post, was probably "made up." 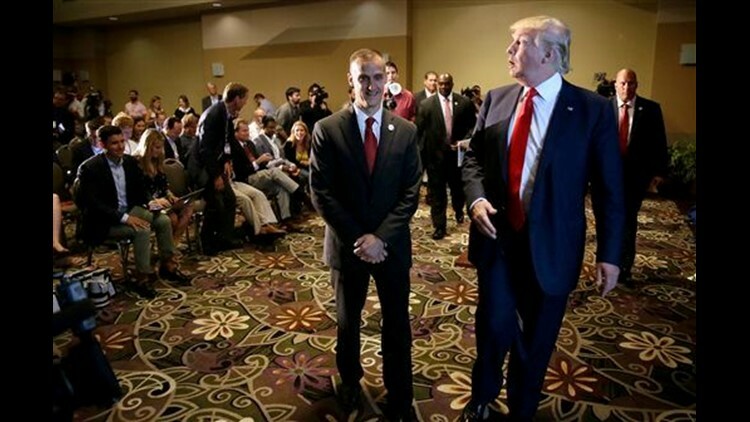 After initially publishing Fields' account, Breitbart posted a story doubting its own reporter, saying the "likeliest explanation" is that Fields was grabbed by a security officer, not Lewandowski. Shapiro, in a lengthy statement first reported by BuzzFeed News, said Breitbart did nothing to support Fields outside of tepidly asking for an apology. "In the ultimate indignity, they undermined Michelle completely by running a poorly-evidenced conspiracy theory as their lead story," Shapiro wrote. Shapiro called Breitbart's chief executive, Stephen Bannon, a bully who has shaped the company into "Trump's personal Pravda." Bannon did not immediately return an email message asking for comment. Breitbart's chief public relations representative, Kurt Bardella, dropped the company as a client on Friday.